City located at 3,200 m.s.n.m. 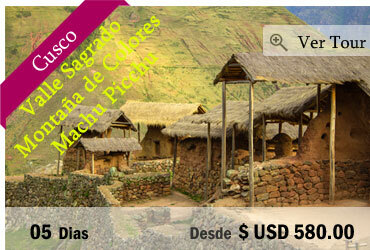 (10,500 p), reveals the different stages and cultures that have passed through it: Pre-Inca, Colonial and Republican. More than a capital, it was an administrative, military and religious city, similar to Mecca, and is now the oldest inhabited city of the American continent. Ruins, temples, churches and mansions make it a memorable destination, full of history and culture. A city with a splendid legacy, its winding streets lead visitors through its rich and beautiful past. At a distance of 120 km. 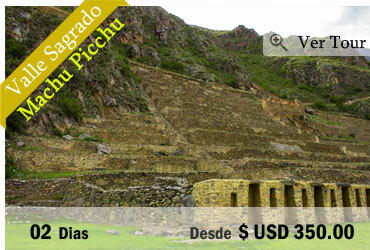 (75 miles) from Cusco, at an altitude of 2,400 m (7,900 p) s.m., there are the ruins of Machu Picchu. It is believed that Machu Picchu, the Lost City of the Incas, one of the best examples of Inca architecture, was built in the mid-15th century by the Inca Pachacutec. Lost in history, it was not discovered until 1911 by the American explorer Hiram Bingham. 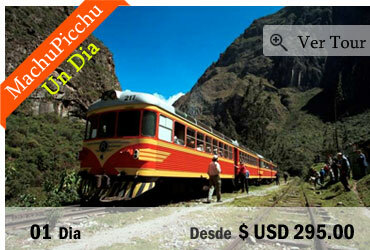 On this short tour you will get to know the city of Cusco and two of the must-sees of the region: the Sacred Valley of the Inca and one of the 7 wonders of the world, Machu Picchu! 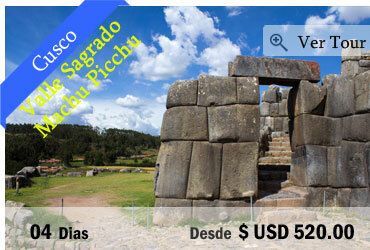 Joining a guided tour you will explore Cusco and visit the most important sights of the city and its surroundings. Traveling has never been easier! We are passionate about traveling and organizing trips, and we have met many people, with different preferences. That's why our programs are 100% flexible and customizable, in a platform designed to facilitate the processes. One more reason to choose us as your travel agency. 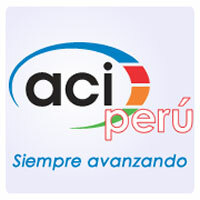 En este breve recorrido se llega a conocer la ciudad de Cusco y tres de los atractivos imperdibles de la región: el Valle Sagrado de los Incas, La fabulosa montañas de colores y una de las 7 maravillas del mundo, ¡Machu Picchu! "Take Advantage of Our Promotions"